Dual Dale Earnhardt Sr. and Jr. Wrangler Firesuit Memorabilia Cards - 1 worn by Dale Sr. in 1981, the other worn by Jr. during his 2010 victory at Daytona! 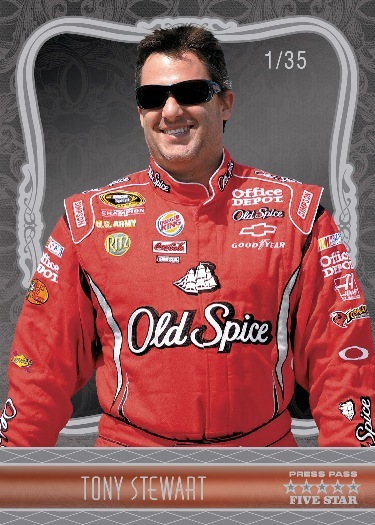 Other NASCAR drivers on the checklist include: Tony Stewart, Richard Petty, Jeff Gordon, Jimmie Johnson, Joey Lagano, Kyle Busch, Carl Edwards, and Danica Patrick. Cards packaged in collectible wooden boxes! 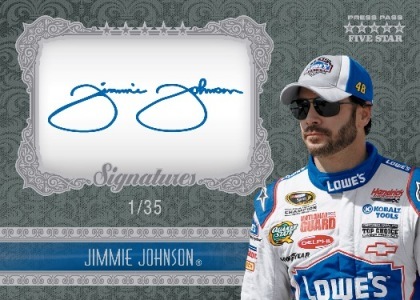 Press Pass Five Star is a new addition to the card companies racing card roster. 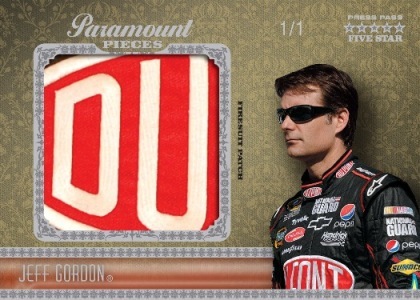 Each 5-card pack of the ultra high end NASCAR product will come in a collectible wooden box and will feature nothing but relics, autographs, and low numbered cards. 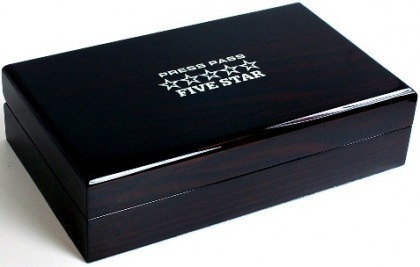 2010 Press Pass Five Star will be available at a hobby store near you this November.